Welcome to my web page. Please read on to explore my twisted world. Hello. Welcome to the place for things by Dan Becker. I am a simple American living in Austin Texas who has hobbies such as music, guitars and amplifiers, triathlons, board and miniature gaming, dogs, and modelling. I put articles here to share with the internet what I have learned. Most times I place stuff here to allow others to download or use it. It's kind of like an electronic garage, you are invited to look and share, but I don't claim that it's organized or makes any sense. Recently I have been writing articles on the Guitars and Music pages: - music theory and practice charts, guitar amps, and song demos. There are many articles and photos on the Board Games and the Miniatures and Models pages. 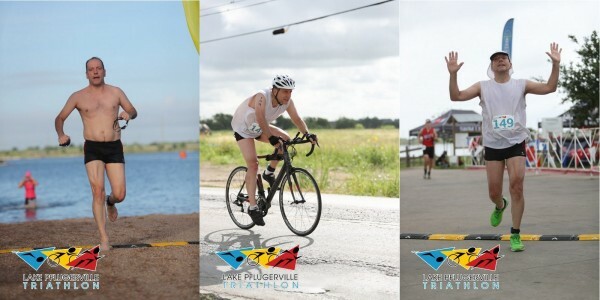 There's some fun stuff at the Triathlon and Mountain Biking areas. There is some ancient stuff on the Photo Page, Puppies Page and the Videography Page. Everything else is lumped in the Other Hobbies page. These are generally smaller areas of the site that fit into a few web pages. Here you will find my lesser hobbies such as Trebuchets and Armor. 2019/02/24 - Painted more Hex Tiles and Felt Mats. See how to make a hex spray paint template. 2019/02/23 - Painted some Perry Horsemen both light and heavy cavalry from the 15th century. 2019/02/22 - Painted some Reaper Bones 28 mm miniatures: Ogres, dragon, gargoyles, and snakes. 2018/12/12 - Painted more North Star 28 mm miniatures: Dwarves, Elves, Humans, and Animals. 2018/10/22 - Painted a few North Star and Osprey 28 mm miniatures for Frostgrave and Oathmark fantasy battles. 2018/09/15 - Painted some hex tiles and scenery for a 28 mm miniatures battle game. 2018/06/26 - Provided photos and reports on the 2018 LifeTime Capital of Texas and Lake Pflugerville triathlons on the Race Reports page. 2018/06/25 - Provided a much needed update to the various book reading lists and resources on Dan Becker's Great Books page. 2017/03/26 - Dan shows Guitar Speaker Cabinet Modifications to cheaply modify guitar speaker cabinets for parallel or serial extensions. 2017/02/12 - Dan upgrades an Epiphone Guitar Amp with big honking Mercury Magnetics. Hear cool 6V6 tube sounds. The complete history of the site is available. Last updated on Monday, 25-Feb-2019 09:41:33 MST.